Brown Sugar Pound Cake Recipe: A luscious and tender pound cake made deliciously sweet with brown sugar and topped with an incredible brown butter glaze. What happened to this year? I can’t even tell you. Where did it go? As I type this, I am looking at the leaves change to beautiful warm tones that make my spirit dance inside. I’m also experiencing the first signs of winter. I walked outside this past weekend and could see my breath in the air. I have mixed feelings about it all. Part of me cannot WAIT for the holiday season to officially begin because happiness enters my heart in a way I cannot describe. Another part of me wants life to slow down because it is going way too dang fast! I’m on a roller coaster that I can’t stop. It is exhilarating and completely scary all at the same time. Instead of staying all the way in my feelings, I bake. It is what I do when I can’t quite cope or really don’t know what to do. 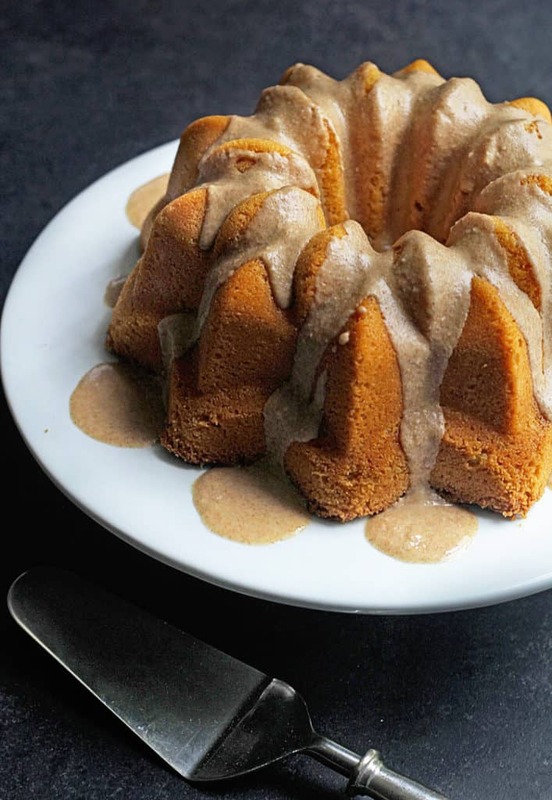 This brown sugar pound cake recipe was born out of those wishy washy feelings. I’m embracing the changes of the season and getting a little holiday baking started (P.S. this cake is perfection for Thanksgiving!). I can’t tell you how therapeutic baking this cake was, not to mention how delicious it was to eat. This brown sugar pound cake recipe is the perfect holiday cake or cake to bake anytime its a special occasion this fall. It is absolute perfection. The brown sugar really takes this recipe up a notch. The molasses adds a depth of flavor to the sweetness that cannot be described. This cake is also incredibly tender and dense with the most wonderful texture. To take it over the top, I added a brown butter glaze. The brown butter glaze is just out of this world y’all! I thought nothing could be better than the cake itself but that’s before the glaze dressed it up. Let’s just say brown sugar and brown butter are meant to be together. 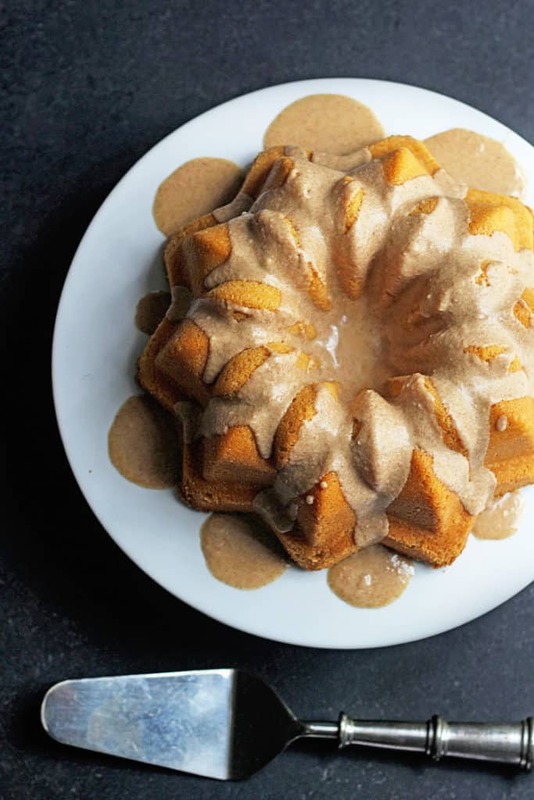 This cake is a holiday keeper and a must for your dessert table (especially if you use a gorgeous bundt pan like I did from Nordic Ware which is below. It is also a lovely cake to deal with the feelings that this time of year truly brings out. Baking it might just heal you a bit just like it did for me. Looking for more cakes? Try my most popular cake, the real deal caramel cake? Brown Sugar Pound Cake: A luscious and tender pound cake made deliciously sweet with brown sugar and topped with an incredible brown butter glaze. Preheat your oven to 325 degrees and prepare your 10 cup bundt pan with shortening and flour or non-stick baking spray. In your mixer bowl, cream together butter, both sugars and salt on high speed until light and fluffy for 5 minutes. Next add in eggs, one at a time, and mix until well incorporated. Slow mixer to lowest speed and carefully add in flour then add in sour cream and extract and cream until just combined. Pour cake batter into bundt pan and bake for 60-70 minutes or until a toothpick inserted into the center comes out moist but mostly clean. Cool cake for 10 minutes then invert cake onto cooling rack and cool until room temperature. Whisk together brown butter, confectioner's sugar and milk. Drizzle glaze over cooled cake and serve. It might be very rich with the caramel frosting and all brown sugar but it is definitely possible to make. Oh I love that idea of adding the cinnamon and brown sugar layer! I made this for Thanksgiving and it was fantastic. I have your cookbook and every recipe I have tried came out great. I never liked my Kitchen Aide mixer until I watched your videos. Thank you. Please consider writing a cookbook for recipes other than baking. Awww thanks so much Joyce!!! My next cookbook will include savory and sweet! Thanks for an absolutely Perfect recipe!! This cake is so good…..I adore it!! I just finished with my 2nd cake & it turned out beautiful. I did tweak 1 ingredient however, as my husband likes maple added with the brown sugar flavor. This combo works well together, & also works well added to that fabulous brown butter glaze as well. I just finished up my 2nd cake, (-the 1st was for our anniversary in February), & of course I now have another PERFECT CAKE for his Birthday—Hooray!!! Thank you so much for sharing your expertise & the Best recipes I’ve found Anywhere Jocelyn, your recipes are Amazing & Foolproof as well!! Sending Much Love & Blessings your way!! Aww thank you so so much Susan! This is a beautiful compliment. I’m so glad you enjoyed the cake! I just made this. It is INCREDIBLE. I’d never made anything with brown butter before – it was SO easy and came out perfect! I’ll be saving this recipe to make again…to me, it’s the perfect recipe for somewhat experienced home bakers. 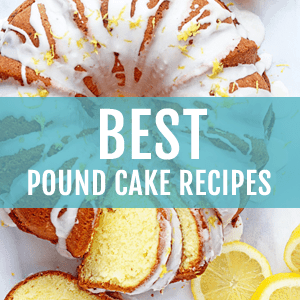 Real, simple ingredients you’d have on hand anytime – easy and fast (except for inevitable baking time) to make if you are familiar with baking – and relatively foolproof, and DELICIOUS. Hooray fantastic! I’m so so glad you enjoyed it! This cake looks exceptional! 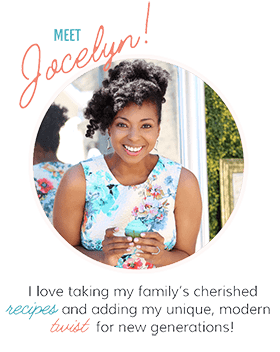 Thanks for the recipe and for motivating me to spend more time in the kitchen, Jocelyn! Hooray! Absolutely! I hope you enjoy it! OMG your Brown Sugar Pound cake recipe was my 1st attempt at baking a pound cake from scratch or homemade. Let me tell you (well I surely dont have to tell you) but this cake was nothing short of amazingly delicioouuussssss!!! It was the most moist cake that has ever come out of my oven. I am so looking forward to baking with more of your recipes. Hooray I am beyond happy to read this and so so glad you enjoyed this cake!!!! 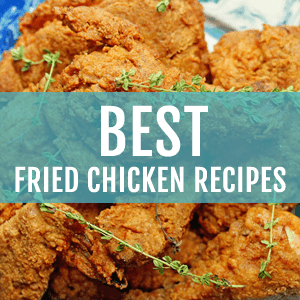 Keep coming back for more recipes. Hi!! So I noticed you mentioned that there was molasses in the cake in your blog but I didn’t see any listed in the ingredients?!! Wanted to make sure I was reading everything correctly!!! Oh the molasses comes from the brown sugar component. I made this cake yesterday for today – Thanksgiving. My husband apparently had to taste test it after I went to sleep. lol That man is a kid at heart! He LOVES it! Hi Jocelyn, in the directions it says to add in “flour then add in sour cream and extract and cream until just combined.” I don’t see cream in the cake ingredients. Please advise. Thank you. Looks delicious and am making it today. Hi Lynn, Cream means to mix when used as an instruction in making a cake. It means to cream everything together. I hope this helps and I hope you enjoy the recipe. 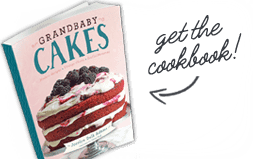 Post a photo of the cake and tag me on social media with GrandbabyCakes! I made this cake for my job on Monday and it was DEVOURED in 10 minutes! Thank you Grandbaby-Cakes for a great recipe! Hooray!!!! I am so glad Christie!!! Woot woot. Next time snap a photo and tag me on social. I would love to share! This looks great! Can’t wait to make it…do the eggs do all the leavening? No baking powder or soda? No its actually the creaming of the butter and sugar that adds the air and lift to the cake! Make sure you cream for a while to give it enough air. Jocely, you give ingreds. for glaze, but don’t mention instructions for the brown butter. Do you brown the butter before mixing the ingreds.? Yes thank you for catching that. Something was cut off in the original recipe. Yes it is browned before until you see specs form. Something was cut off in the original recipe. Yes it is browned before until you see specs form. I just read your interview and it was very insightful. 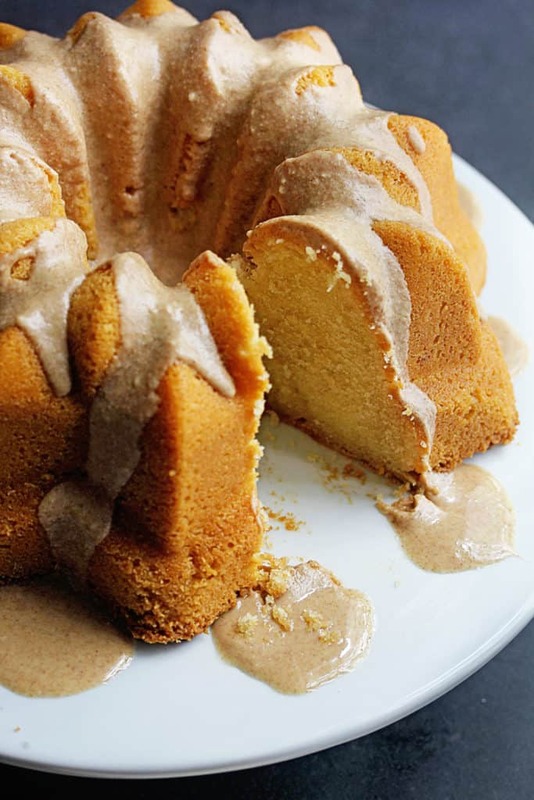 Now this cake — love all the brown sugar and that butter glaze! Will you be posting Thanksgiving recipes? I don’t see anywhere in the recipe about browning the butter for the glaze??? the head notes mentioned molasses, but it is not in the ingredients or directions? Hi Mari, brown sugar has molasses in it. Congrats on your success! Well deserved! I’m definitely going to make this, thanks! This cake looks delicious. But how does the glaze turn brown just buy whisking butter, confectionary sugar and milk? Is there another ingredient that I’m missing? Are we cooking it on the stove? Oh my!!! With a strong cup of espresso, this looks to die for!! In a house full of picky eaters, we are united on brown sugar. This is sure to be a big hit! 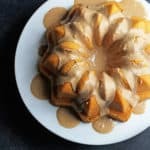 That brown butter glaze is calling my name! I love anything with brown sugar and brown butter! WOW. This looks like the perfect end to any meal….simple but SO perfect! I cannot wait to make this – it looks absolutely perfect! I don’t even understand how you still have time to blog. 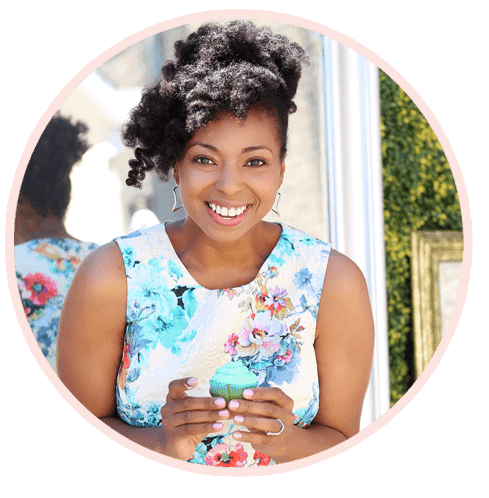 You are a freaking superwoman. Hahaha girl I don’t either. Sometimes I don’t even know where I’m at! You mention in your headnotes that you added a brown butter glaze to the cake. Where? Hi Jackie, the glaze is on top of the cake. The information on how to make it is in the recipe as well. Hope you enjoy! YES go ahead and give it a try! 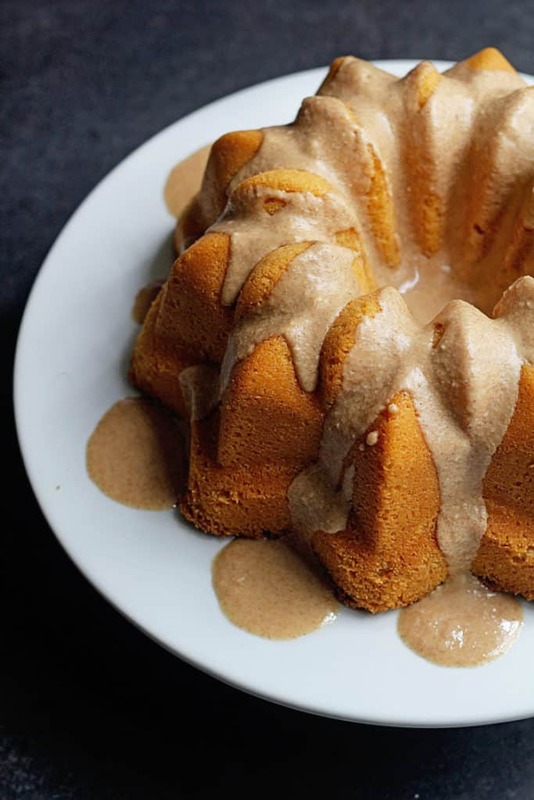 This bundt cake is serious brown sugar heaven. And yes, I’m stunned that it’s fall now. I mean, the holidays are approaching, can you believe that? I seriously cannot believe it! WHERE DID U GET THAT STAR CAKE PAN FROM?I REALLY LIKE THAT.